We offer the USA Cable with letter "U". The UK Cable can be selected with letter "K". You can get the Euro Cable by selecting letter"E". If you are going down under the "A" Cable fits the AU and NZ plugs. These Dual Hyper Chargers charge one or two Batteries faster than the Quick Chargers and are still safe for all sizes of the NiCd and NiMh batteries. Each of the two charge plugs has an indicator to warn you if you try to charge a bad battery. They have the special feature of a separate seven light battery gauge to better keep track of the health of your Batteries. Just plug in the six pin connector to the battery before, after or during the charging to see the charge level. Hyper Chargers are modern and conserve power, however, they should not be used with older Batteries that have the classic PEPI circuit inside. If your Battery was built after 2002 and has a serial number higher than 149300 then you are fine. Otherwise, please contact Lumedyne directly. When you select the Charger, if you are not in the USA, then you need to access the pull down tab near the buy button to select a different AC cord. The USA power cable is our default since most of our customers are Americans. The charger can run fine from any AC voltage worldwide so it is only relevant which cable is in the Package. These are standard AC power supply cables with a ground terminal. 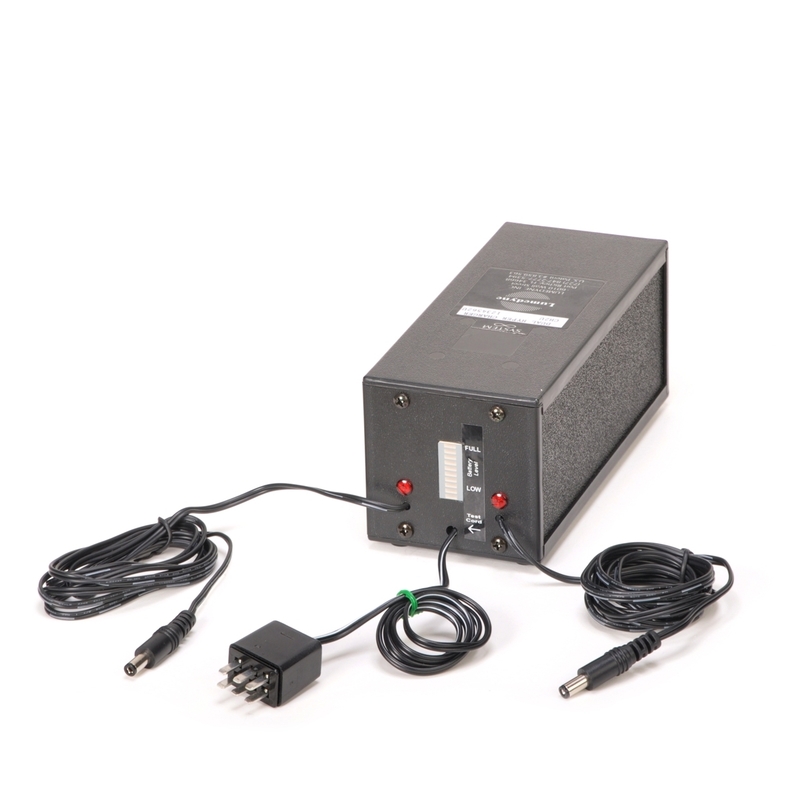 However, Lumedyne Chargers and AC Power Supplies should only be used in dry environments. It's true that the battery gauge is handy to confirm that the Batteries are fully charged before you go to a shoot. However, one of the best features is to test the battery a week then two weeks after it has been charged and before a top-off, so that you see how well the battery is holding the charge. This often relates better to how well the battery will really perform, not just that it will take a charge. So the battery gauge is an awesome feature, but don't leave the battery gauge plugged in because it would eventually drain your battery once it stops charging but still has the lights from the gauge left on. Just use it when you are checking your Batteries.